I've always had a certain fear of large hunks of animal flesh. I know, I know…you're thinking, "But Kathleen, weren't you just butchering half of a pig (your second) just a couple of weeks ago? Wazzup?" So I guess I should modify my phobia: my fear is cooking a large hunk of animal flesh and ruining it. 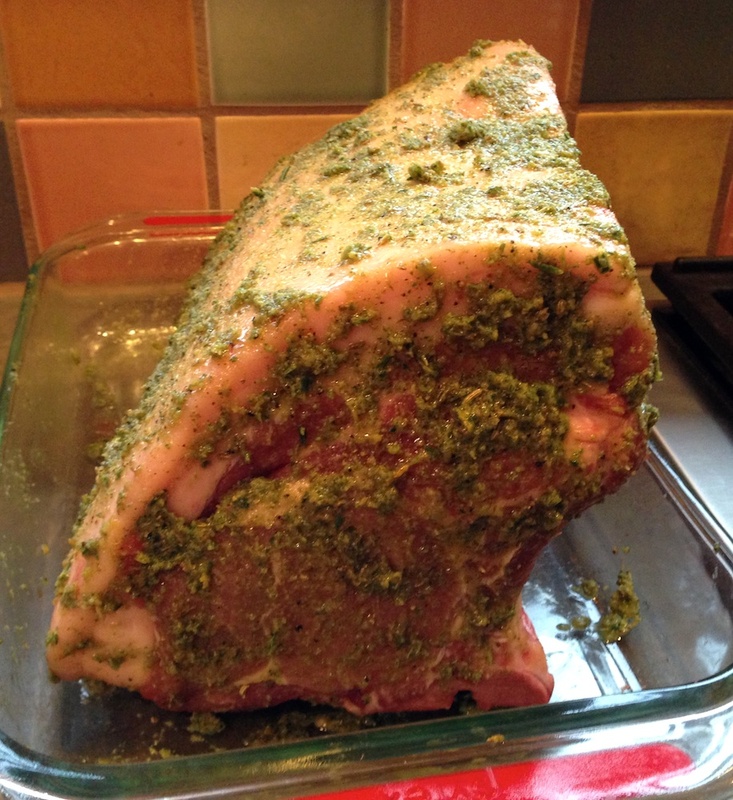 And there's nothing like eight-plus pounds of gorgeous standing rib pork roast to make my knees start knocking. Add in the fact that it was the main course for Christmas dinner with company and you've got the makings for a world-class disaster, one I'd never hear the end of. "Remember the time you practically burned down the kitchen and ruined Christmas dinner?" The words echoed in my head. Then there was the fact that I'd decided to use a recipe for a fennel, lemon and herb marinade I'd read in the New York Times. 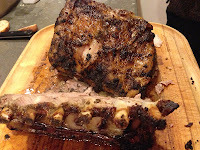 Problem was, Melissa Clark, whose recipes I like and trust, had used it on a crown roast, not a standing rib. So aside from the rub itself, all her other sage advice about how to make it the crowning achievement (no pun intended) of the dinner was pretty much useless. I nevertheless forged ahead, pulled the roast out of the freezer in plenty of time for it to thaw, made the rub and got it marinating on Christmas morning. Dinner was scheduled for evening—we're not mid-day holiday diners—and I made sure I had a couple of instant-read thermometers that actually worked. With the size of the roast, I was estimating two or two-and-a-half hours. It was originally going to go on the grill, another holiday tradition, but the weather was awful (bone-chilling cold and rain) and Dave was threatening to come down with a cold. So into the oven it was going. Our guests came, we drank and snacked and I checked the temperature starting about 90 minutes in. 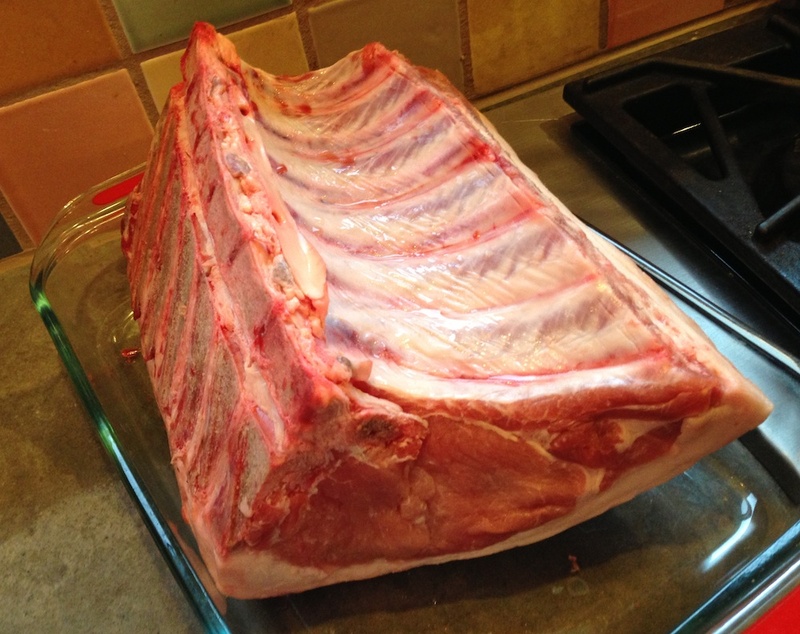 The roast itself had gone in the roasting pan backbone down, with the ribs sticking up, following Clark's instructions to roast it at 450° for 20 minutes, then at 350° for the remainder of the cooking time. We'd decided on pulling it when it reached 135°, then letting it rest for twenty minutes. I was the designated carver, and with some sound advice from the guys in attendance I sliced down under the ribs and against the backbone. This freed the roast completely and it plopped onto the cutting board in one piece, making it possible to simply slice the roast into what looked like boneless chops. As a bonus, I also sliced between the ribs and piled them on a side plate for those of us who like to have something to gnaw on. Truly succulent, it was indeed a glorious achievement, one I'll definitely be proud to hear about in the future. And though I'm not totally over my fear—high-stakes occasions are always at least somewhat fraught—I'll definitely have more confidence the next time I try this type of high-wire act. 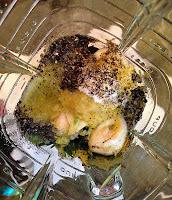 Place fennel seeds in small dry skillet over medium heat until they are fragrant, about 1 minute. Keep moving them around the pan so they don't scorch—you're just trying to bring out the essential oils. 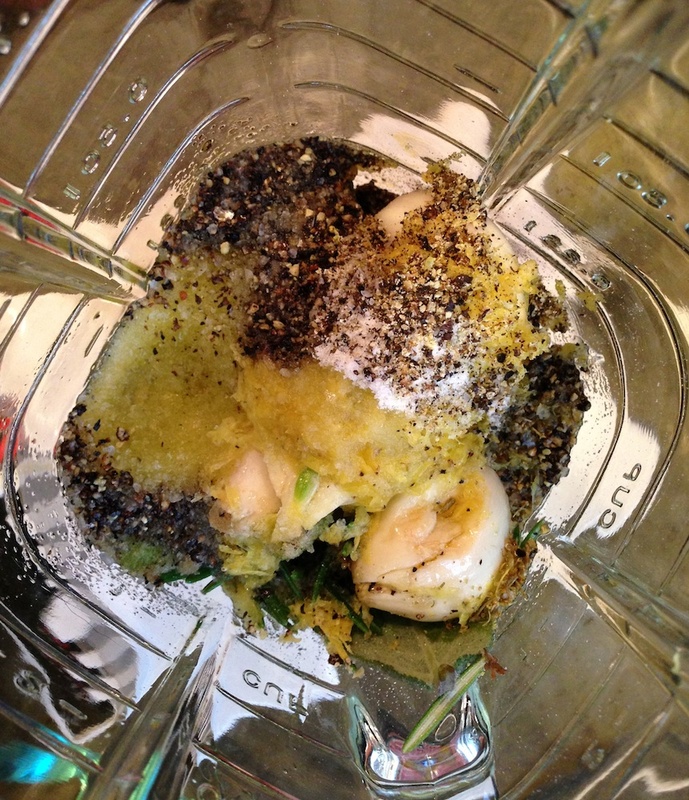 Combine all ingredients in a blender and process until they make a paste. Rub all over pork roast* and allow to marinate in the fridge for at least 2 hours or overnight. * If you're using a pork leg roast or rolled roast, you can untie it and rub it inside the roast as well. Then you can retie it or roast open-faced, either way. ** The USDA recently modified the cooking temperature for pork to 145°…we feel that's still a bit high, but you should use your own judgment. Any recommendations for a replacement to the fennel? It's our least favorite herb. There's really nothing like it, so I'd just leave it out altogether. Does anyone else have a suggestion for Deanna? The roast is obviously overcooked. 135 degrees is too high. You should have pulled it out at 125, that will give you rare, medium rare. Thanks for the comment, Gomez. With temperature, particularly with pork and fowl, it's really a matter for each person to decide what's right (and safe) for them. 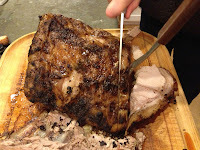 We didn't feel the roast was overcooked, since it was juicy and luscious with meltingly delicious fat.